Certificate in Environmental and Natural Resources Law, Northwestern School of Law at Lewis and Clark College, 1994. B.A., Journalism and Political Science, University of Hawaii at Manoa, 1989. Naomi Kuwaye joined the firm as counsel in July 2012. She is currently admitted to practice law in Hawaii, Oregon, and Washington. Ms. Kuwaye specializes in environmental and natural resource law, land use, real estate development, telecommunications law, public utilities, and administrative law. Her practice includes environmental litigation and regulatory compliance with federal and state laws and regulations. In the public utilities area, Ms. Kuwaye has extensive experience in the regulatory aspects of merger, acquisition and restructuring transactions in both the electric and telecommunications industries. In this regard, she has advised participants in a number of utility mergers. Ms. Kuwaye recently represented a $16 billion dollar renewable energy company in one of Hawaii’s largest energy dockets before the Hawaii Public Utilities Commission. She has also has worked on principal market rate authority and transmission cases at the Hawaii Public Utilities Commission which have resulted in the establishment of new policies. Ms. Kuwaye is a member of the American Bar Association, the Hawaii State Bar Association, Washington State Bar Association (inactive status), Oregon State Bar Association, and the Hawaii Women Lawyers Association. Ms. Kuwaye has served as past chair, vice-chair and program chair for the Natural Resources Section of the Hawaii State Bar Association. She has been an invited speaker on issues involving land use and environmental compliance matters. 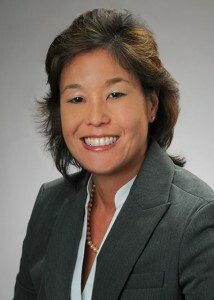 She has also authored a number of articles on the State of Hawaii’s land use process and environmental compliance issues.